EAGAN, Minn. – The Bible speaks of manna from heaven. Old Testament indeed, compared to what's being showered upon Celebration Church in Lakeville. EAGAN, Minn. – The Bible speaks of manna from heaven. Old Testament indeed, compared to what’s being showered upon Celebration Church in Lakeville. Lundstrom’s amazement began in December when a longtime church usher passed away, leaving his home and its contents to the church. Lundstrom will never forget her first look at the property. “It was breathtaking when I walked in,” she says. Lisa Lundstrom is overseeing the sale of Dennis Erickson&#39;s cars. Shelves filled with scale model cars filled the foyer - then kept going. Kitchen, living room, bedrooms, family room – every available space was covered with cars. “Literally it's floor to ceiling every single room,” says Lundstrom. Hallways, laundry room, even the bathroom walls had become display areas for the tiny cars collected over a lifetime by Dennis Erickson. 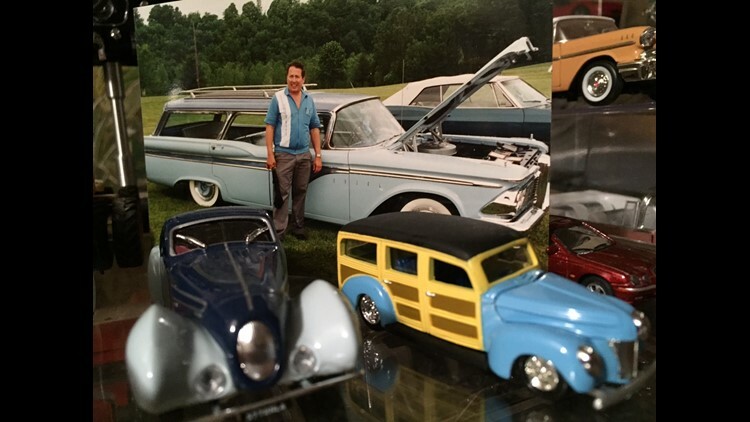 Meticulously displayed in Erickson’s house and two garages are more than 30,000 cars, including a full size Model T Ford, a ‘59 Edsel and a ’66 Rambler. “I mean we just kept finding cars,” says Lundstrom. 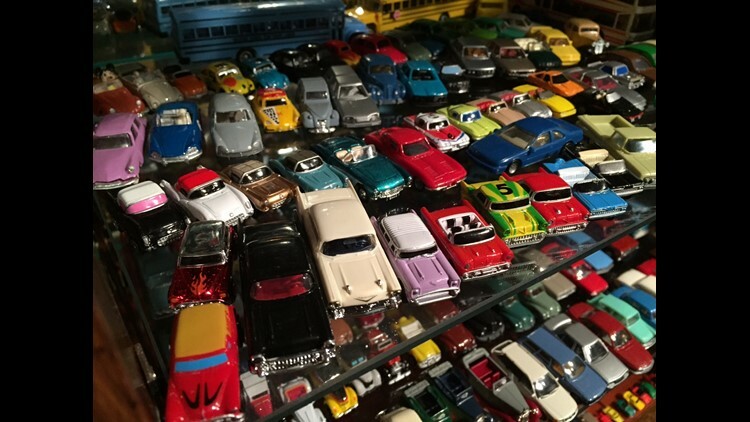 Scale model cars collected by Dennis Erickson. Lundstrom has learned much the past few weeks about Erickson, the career civil engineer, who started collecting cars at the age of 9. Scouring antique shops, cars shows and the internet, Erickson amassed the equivalent of better than a car for every day of his life. In fact, days after Erickson died, cars were still arriving. Erickson was an only child who lived in the house with his parents until they both passed away. He never married. He never had children. Erickson was 69 years old when he died in his sleep, surrounded by his cars. “He didn't have family to put a funeral together for him, we did it as a church, because he was our family,” says Lundstrom. Erickson’s church family is now celebrating the passion of a man who also saved and catalogued thousands of automotive brochures and meticulously logged his every car encounter, from adding STP to his Edsel, to putting Armor All on the tires. His display cases were hand-built and covered with Plexiglas to keep dust from reaching his cars. “He took better care of these little cars than people take care of people in their lives,” says Lundstrom. Dennis Erickson died on December 3rd, leaving his car collection to his church. But Erickson covered that base too. His friend Glenn Lindell, which whom he once shared a memorable road-trip, was willed Erickson’s pristine ’77 Bonneville - the car in which they had traveled. Named executor of Erickson’s estate, Lundstrom is overseeing the sale of the rest of the collection. She’s still working through the logistics of how exactly that might happen. “If I tried to sell it separately, the rest of my life would be Dennis’ life,” she laughs. 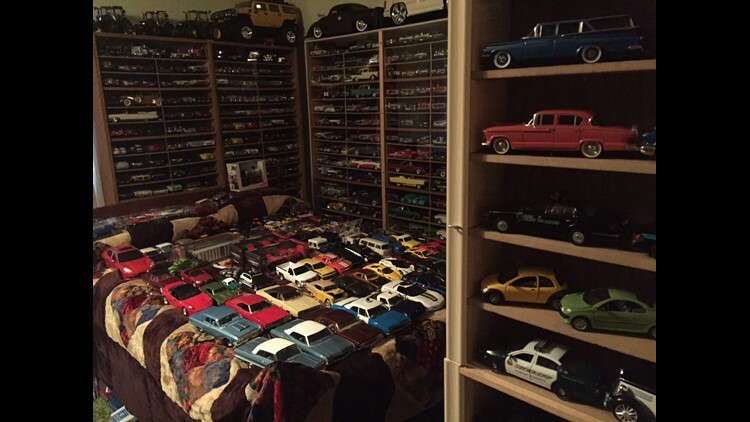 Scale model cars in a bedroom of Dennis Erickson&#39;s home. Lundstrom believes the collection could fetch well into six figures, most of which will go to Celebration Church. The church, in turn, plans to spend the money to remodel and expand its youth facilities. “I believe that using the gift that Dennis gave to impact future generations is exactly the way he would have wanted it to be,” says Derrick Ross, the church pastor. Lundstrom’s father, Lowell Lundstrom, preceded Ross as pastor. For years, Lisa Lundstrom says, her parents would invite Erickson to their home for holidays. 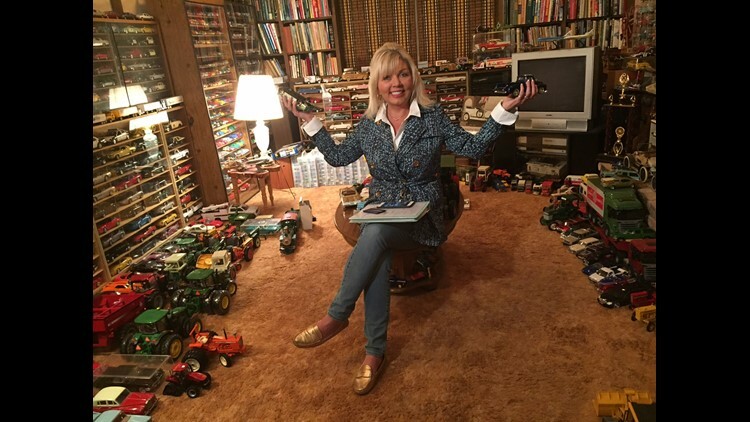 Lundstrom likes to think Dennis Erickson's heavenly home is also a house of cars.